(Cross-posted on the Lat Long blog). Pakistan continues on a trajectory of exciting technology initiatives, sparked most recently by three consecutive Google Map Maker events in Karachi, Islamabad and Lahore in early June. 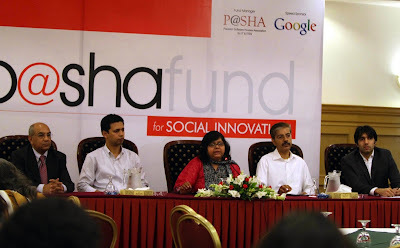 Following on the heels of these successful MapUps, P@SHA (Pakistan Software Houses Association for IT & ITES), in collaboration with Google, launched a fund to drive social innovation in Pakistan. The purpose of the P@SHA Social Innovation fund is to encourage big ideas by providing the Pakistani people with financial support and guidance for social innovation projects. Google has provided a seed grant of US$250,000, which will be allocated to 25 all-star proposals that incorporate technology as a means of addressing a specific social need, such as flood relief or disease prevention. The idea is not simply to fund the creation of software, but to fund ideas that use Information and Communication Technologies as a platform for delivery and as a means for empowerment. In addition to offering funding, P@SHA has established an oversight committee, advisory board, and outreach gurus from the business IT community to guide the shortlisted proposals from inception to reality. The hope is to create a safe harbor for eager entrepreneurs to jump-start ideas without the fear of failure. P@SHA President Jehan Ara anticipates that many of these ideas will emerge from Pakistani youth. According to Jehan, one of Pakistan’s main strengths is that 60% of the population is below the age of 24, something the country can leverage. Jehan believes a large number of these individuals are passionate about making a difference in the communities in which they live--and, to some extent, are already doing so. 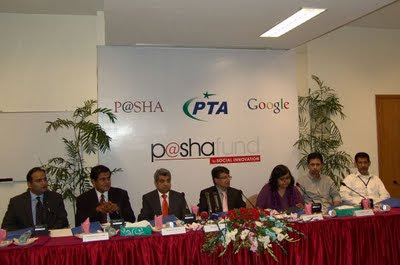 Google Map Maker has already witnessed several such innovations in Pakistan, such as Sindh Flood Maps, FloodMAPS of Dr. Sohaib Khan, and http://www.local.com.pk/, which implement the Google Maps API to assist in disaster relief management. Proposals are being accepted through August, and are not limited by age, gender, caste or creed. P@SHA requires only that applicants be Pakistanis who are based in Pakistan and ready to share their innovations with the world. Amongst others, we anxiously await any future mapping projects that may be in store following P@SHA’s announcement of winners in the early fall, and encourage all our avid Pakistani mappers and brilliant innovators to submit their big idea!